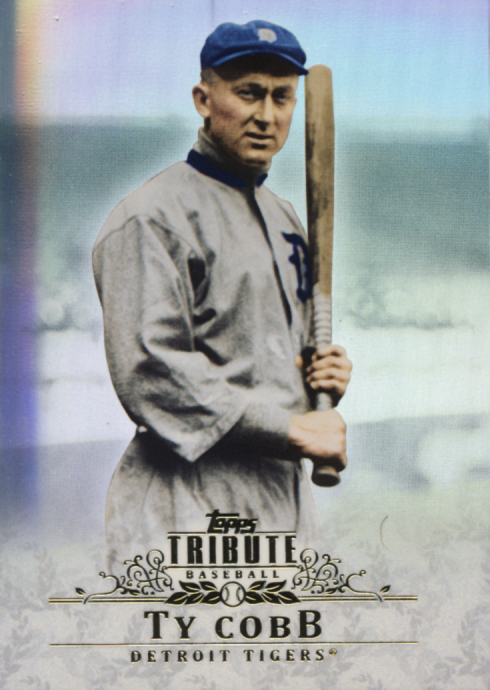 The secret to good years for Topps Tribute can be found in the checklist. 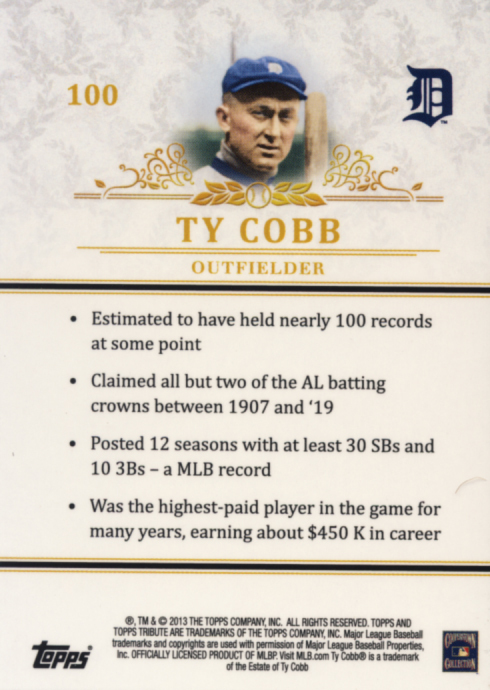 But it is not just the presence of the biggest names in the sport, but the ratio which the appear in comparison to other lesser players. 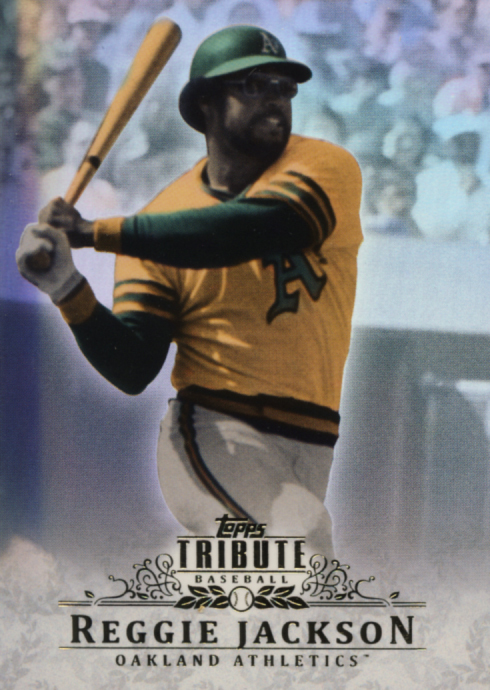 For 2013 Topps Tribute Baseball the checklist is deep and wide but the ratios are a little unbalanced. 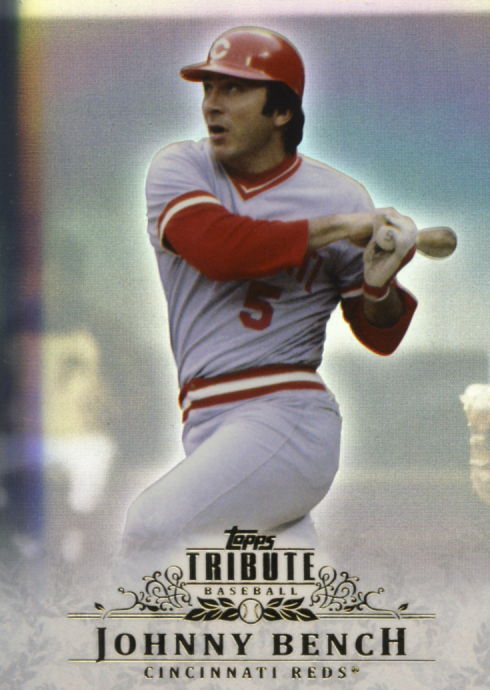 All of this leads to the possibility of pulling a huge hit being very good but the probability of doing just that is not as good.But if you are going to hit it big, Tribute has some great card to do that. 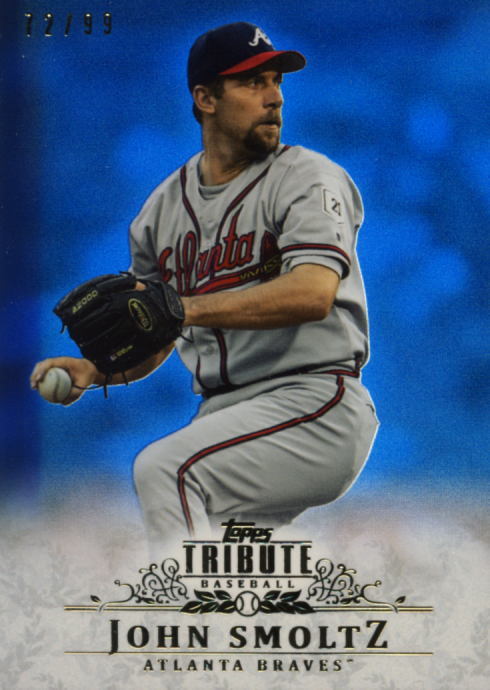 2013 Topps Tribute Baseball fits into our Premium Cards category. 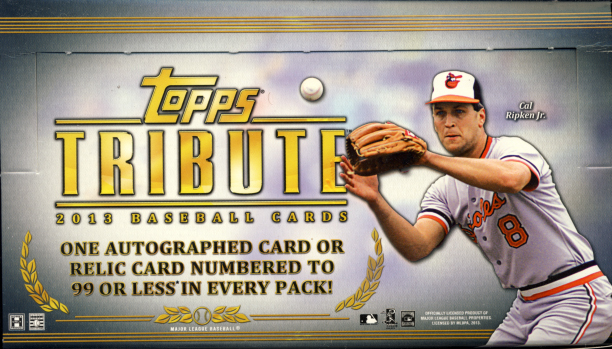 This Hobby Exclusive comes with 6 packs per box, 5 cards per pack and 1 autographed card or relic card numbered to 99 or less in every pack. 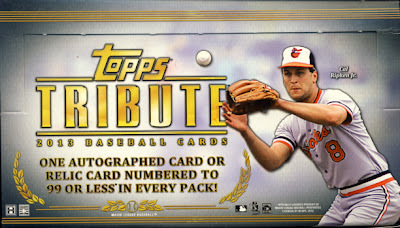 Collectors should expect 3 Autographs and 3 Relics per box. 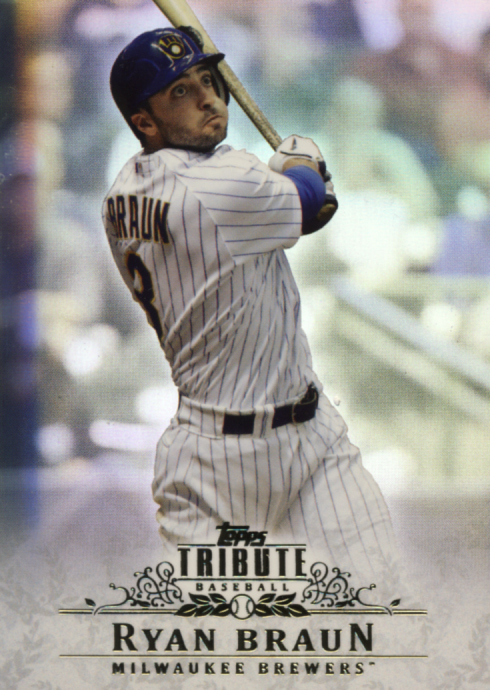 The base cards are great looking again this year and look even better in their numbered color versions. 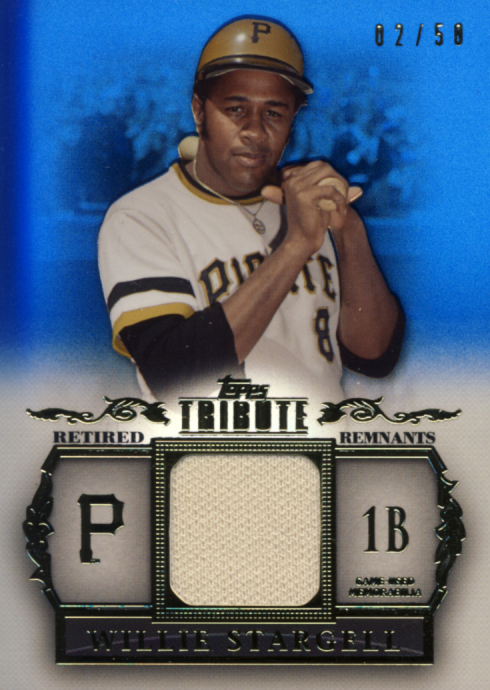 The relic cards are a departure from previous year's designs, which works very well. 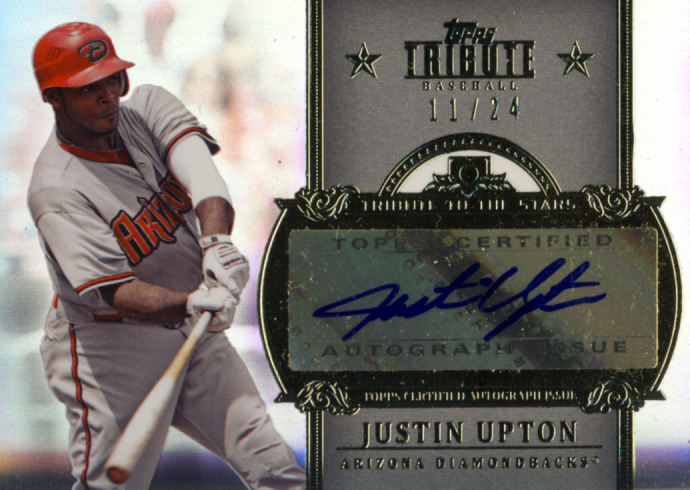 Short of a few Auto/Relics, Topps has gone to all on-card Autographs with bold signatures on nicely designed cards. 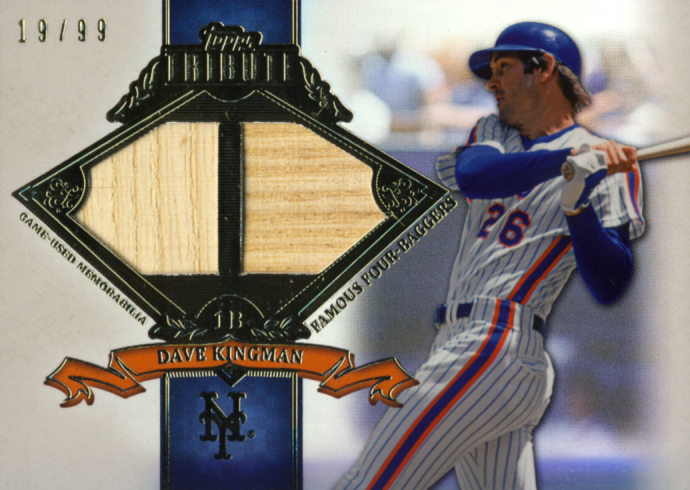 The encasing of the hits is gone which is a shame because it added to the premium quality feel. 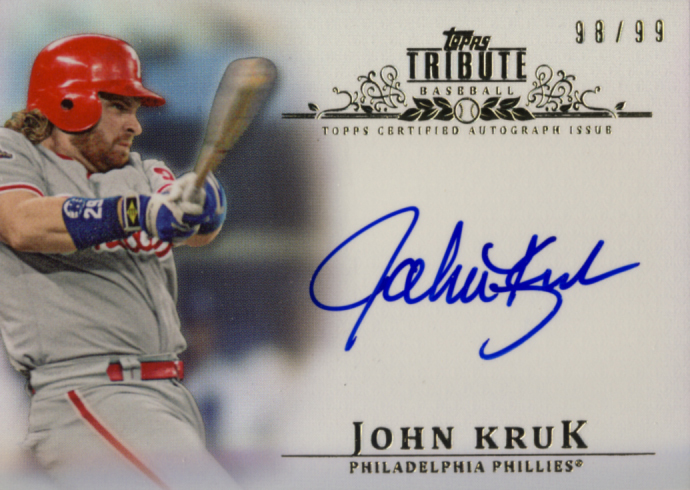 This year there is a wide variety of hit and some truly monster hits to be had, but there is a large percentage of great but not spectacular hits, like the John Kruk auto we pulled. 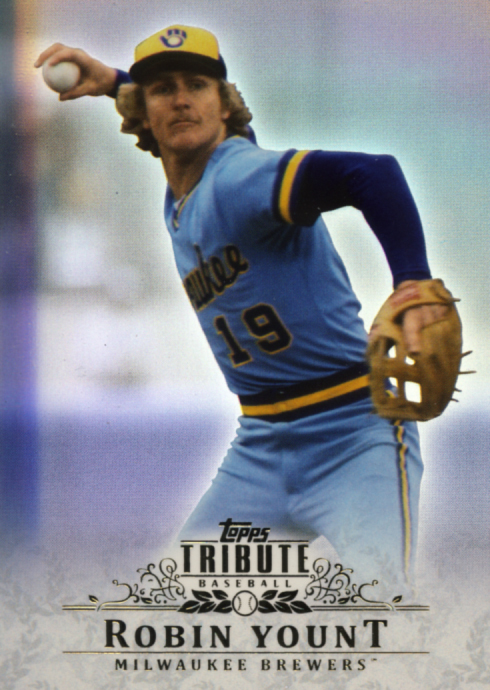 Some will get lucky and pull a fabulous card from their box. 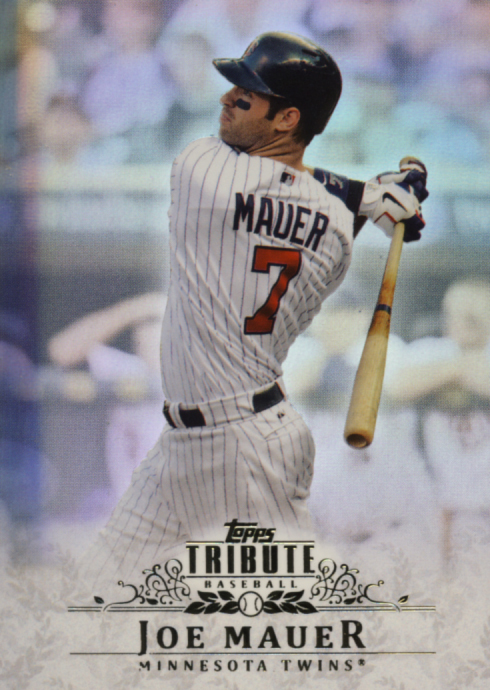 Others will not, but for the most part the hits satisfy. This is a tough one. 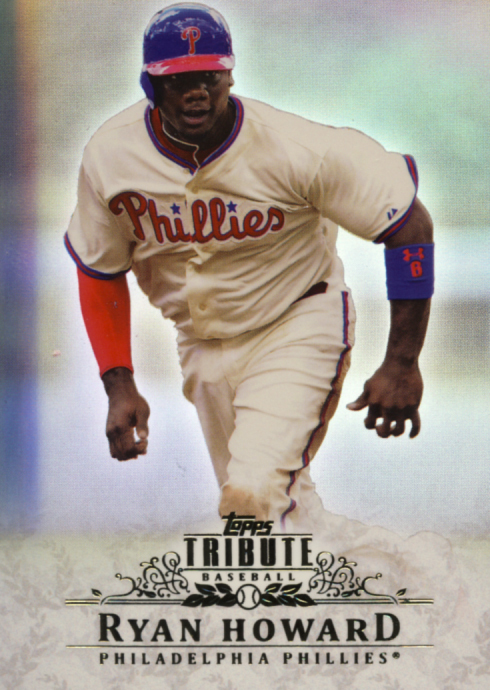 The base set is nice enough that collectors will want to complete the series. 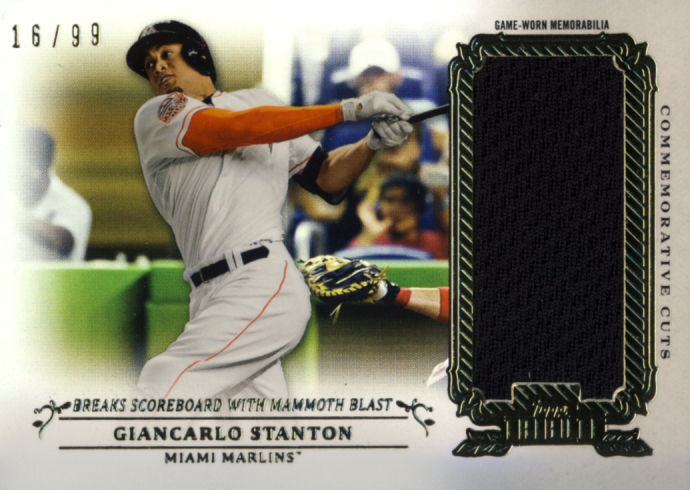 For hits, there are some incredible cards to be pulled. This becomes a judgment call based on your budget. 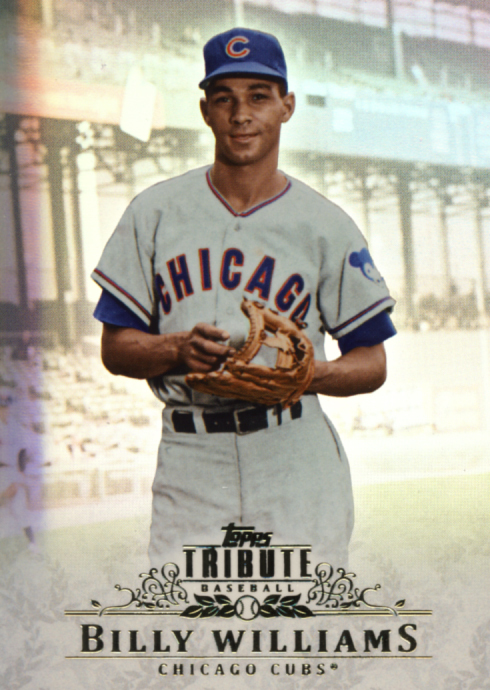 Secondary market finds should be readily available with Tribute. 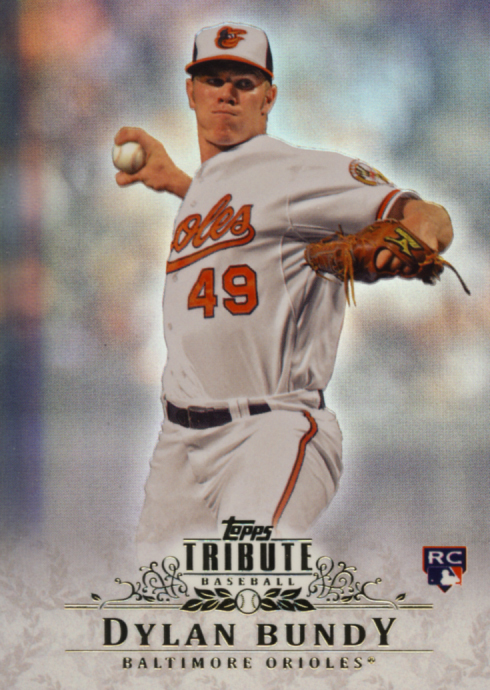 2013 Topps Tribute Baseball adds some incredible its to be had but still retains a high risk versus reward ratio. 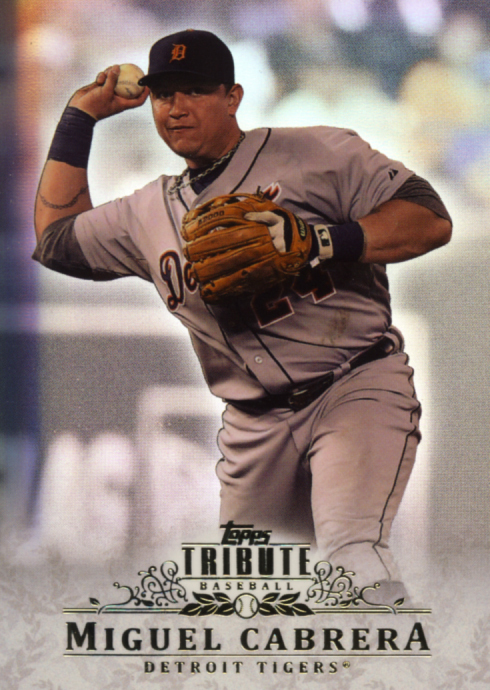 You did really well on your box... especially the relics and autos. 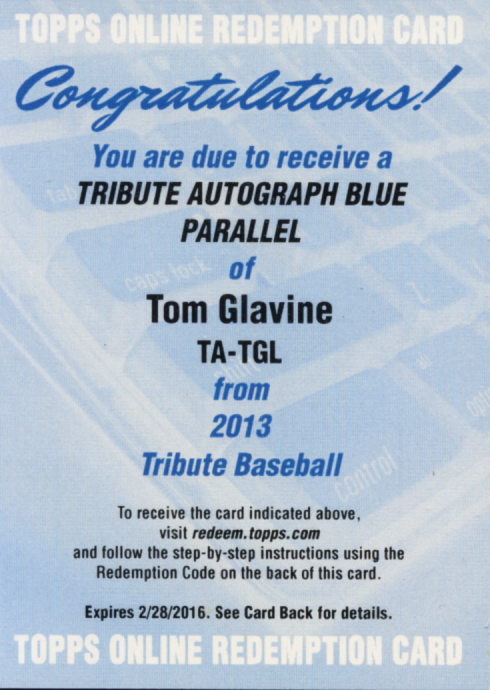 You can never go wrong with a Glavine Auto card ! !